It’s time to reduce patient no-shows, convert calls and build revenue from every nook and cranny in your practice. Practice Compass online solution allows you to increase staff performance, patient satisfaction, and create a competitive practice that generates revenue. We offer seamless integration with dental software systems. The key component of Practice Compass is a state-of-the-art VoIP phone system. This phone system will replace your existing land lines with technology that dials and receives digital quality calls at a fraction of the price of analog. All you need is a high speed Internet connection. Easy-to-read dashboards provide real-time tracking of patient calls and scheduling by marketing source and campaign. You can easily track patient communication conversion to appointments. Practice Compass delivers ROI marketing that builds your practice volume.You enhance the marketing effectiveness of every patient communication. 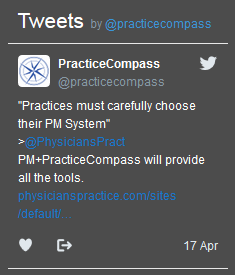 Practice Compass delivers ROI marketing that builds your practice volume.